Rent a car and enjoy Platanias beach! It is a beautiful beach, 11 km west from Chania, near Chania airport! With a rental car you can easily reach Platanias from the center of Chania and get to know, besides the beach, the beautiful village! 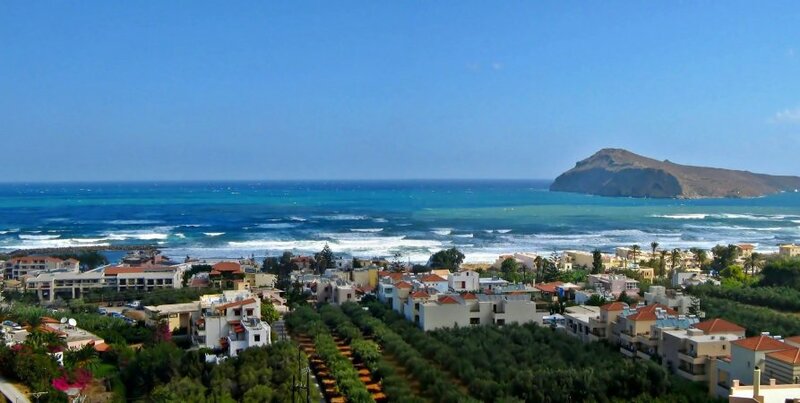 It is now one of the most popular resorts in Crete, in an ideal location because of its unique view offered by the slope of the village and the beautiful sea! Ideal for families with young children and for singles who like playing on the beach, Platanias beach has shallow waters, with unique turquoise color, and it’s organized with umbrellas and of course plenty of water sports! In August, the beach is overcrowded, so you will enjoy it more in July and September. The nightlife of the village is particularly lively and rich, with clubs, bars, restaurants, cafes, for all ages and tastes!